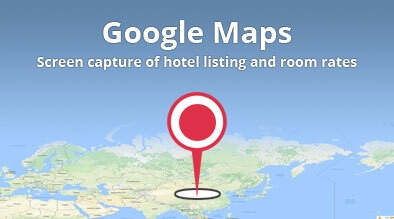 Google announced an experiment on March 22, 2010 which would feature hotel listings and their room rates on Google Maps. This experiment is currently available to a “small portion of users.” With this addition, when users search for hotels on Google Maps, they can type in the number of nights they are staying and the sidebar will show the room rates and a booking link for selected hotels. The user can then click on the price to see a list of advertisers who have given pricing details for that hotel, indicated by the ‘Sponsored’ text. They can then book the room nights via the booking link given by the advertiser. This beta feature could potentially alter the way we shop for hotels today and have a huge impact on the hotel industry. This new addition will influence businesses like Travelocity, Expedia and the hotels themselves. Any advertiser with the lower price offering is likely to get the most click through’s. 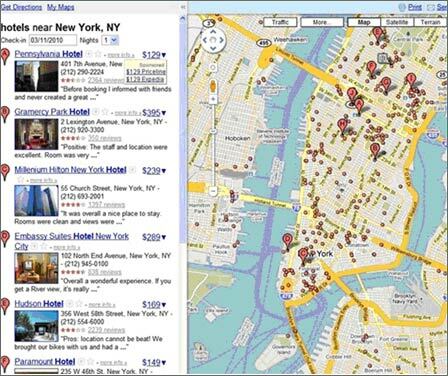 Many of us use Google Maps extensively to find and compare hotels in a location. If we are served with the option to compare rates, and to book directly from Google Maps, there probably would be a sizeable number of folks who would be willing to do that, especially given the Search Engine’s brand value. Google has stressed that the new feature will not affect the way hotels are ranked in Google Maps. Google Maps ranks business listings based on their relevance to the search terms entered, along with geographic distance and other factors. In conclusion, Google is poised to change the way people shop for hotels. Google is currently testing this feature and analyzing feedback and other data. If and when they are ready to roll the feature out of beta, it will be create a huge impact on the travel industry and will also pave the way for Google Maps’ monetization. Let us all wait and watch with bated breath.